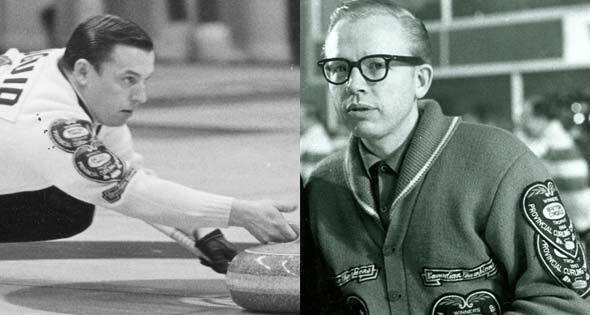 Three-time world champion Ron Northcott and two-time world champ Don Duguid will officially be inducted into the Hall on April 7 during the closing banquet of the Ford World Men’s Curling Championship, presented by Booster Juice, in Victoria, B.C. Northcott (born Dec. 31, 1935) put together a team in Calgary that followed in the footsteps of the legendary Ernie Richardson foursome from Saskatchewan. Northcott put together a 23-2 cumulative record en route to winning world titles (known as the Scotch Cup from 1959 through 1967) in 1966 (8-0 at Vancouver), 1968 (8-1 at Pointe-Claire, Que., when the event became known as the Air Canada Silver Broom) and 1969 (7-1 at Perth, Scotland). Northcott had the same front end — lead Fred Storey and second Bernie Sparkes — for all three of those titles, and three different thirds: George Fink in 1966, Jim Shields in 1968 and Dave Gerlach in 1969. Known as the “Owl,” Northcott won six Alberta championships, and also was named to Canada’s Sports Hall of Fame in 1970 and the Canadian Curling Hall of Fame in 1973, and was appointed to the Order of Canada in 1976. Duguid (born Jan. 25, 1935) took up the Canadian cause the year after Northcott’s last world title. Backed up by third Rod Hunter, second Jim Pettapiece and lead Bryan Wood, the Winnipeg powerhouse swept to back-to-back unbeaten world championships, going 8-0 in 1970 at Utica, N.Y., and 9-0 a year later in Megève, France. 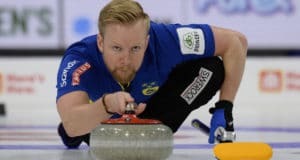 Previously, Duguid had played third for Terry Braunstein’s 1965 Brier championship quartet, and made it to the final of the 1965 world championship in Perth, Scotland, finishing second (5-2) after losing the final to Bud Somerville of the United States. Duguid, who turned to broadcasting after his competitive playing career was over (he worked for CBC and NBC), was inducted into the Canadian Curling Hall of Fame in 1974 and Canada’s Sports Hall of Fame in 1991. Prior to 2012, the WCF awarded the World Curling Freytag Award, named after the late Elmer Freytag of the U.S. 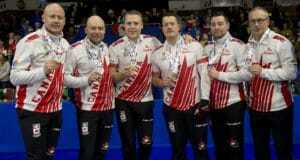 Curling Association, who was a founding member of the International Curling Federation (now the WCF). Previous Canadian Freytag honourees were: Ray Kingsmith (2011), Sandra Schmirler (2009), Shirley Morash (2001), Ernie Richardson (2000), Colin Campbell (1990), Bob Picken (1987), Don McLeod (1985), Mabel Deware (1983), Doug Maxwell (1981) and Ken Watson (1978).